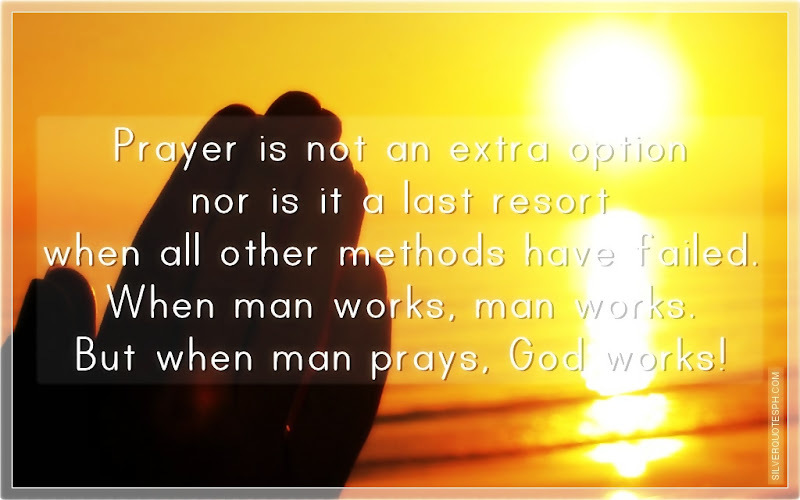 Prayer is not an extra option nor is it a last resort when all other methods have failed. When man works, man works. But when man prays, God works!